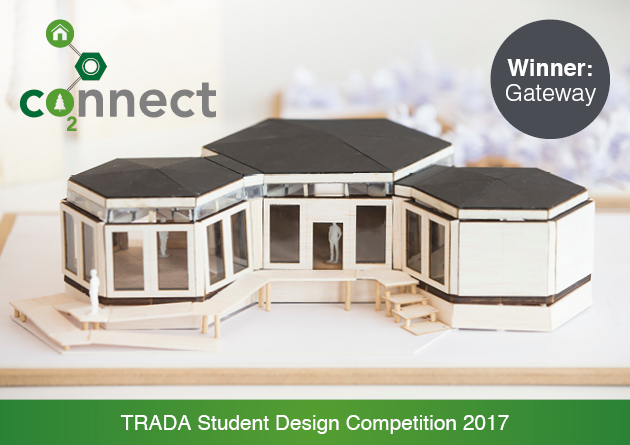 A team of four engineering students from Edinburgh have won the 2017 TRADA Student Design Competition. 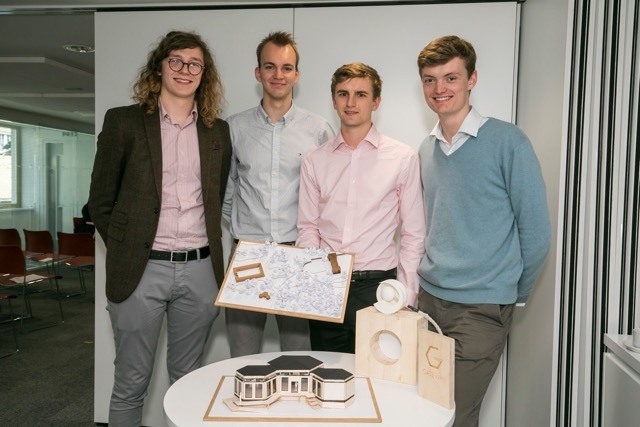 Adam Glew, Taavet Kutsar, Peter Openshaw and Magnus Thomson are all in the third year of the Structural Engineering with Architecture MEng degree. 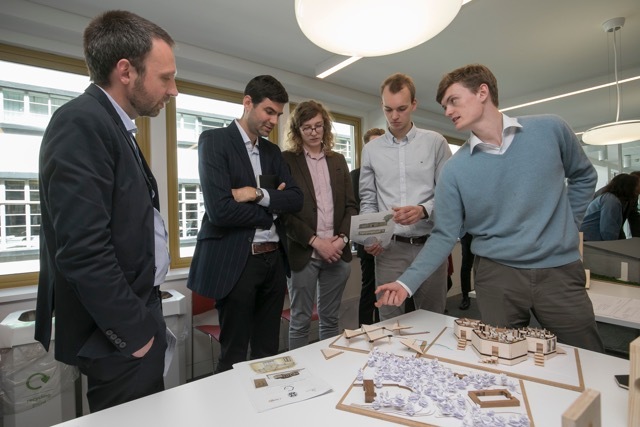 The team impressed the judges with a design they said “demonstrated the most complete consideration of all aspects, from design through to how the building would be constructed and deconstructed”. Full details on the TRADA website. A team of our 3rd year students also won the competition in 2014, and our students have been finalists in several other years recently.